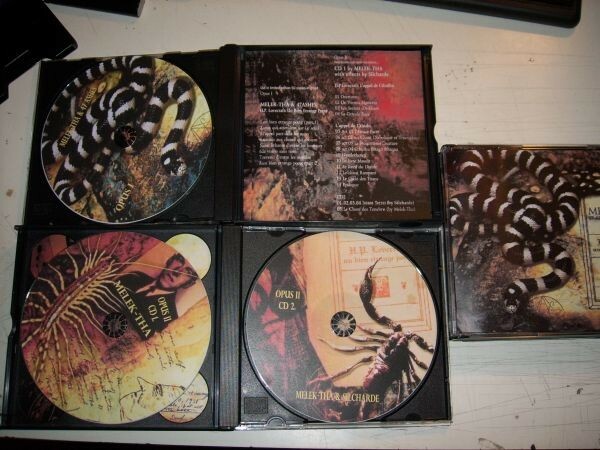 3CD Box with 4 page bookled ist limited of 100 pieces. Info: Melek-Tha and 47 Ashes teamed up to release the original ´H.P. Lovecraft, Opus 1´ (1 CD). Housed with artwork behind glass and limited to only 50 copies, it is no surprise that this highly collectible item sold out immediately! Customer evaluation for "Melek-tha - H.P. Lovecraft 1+2 3CD (Lim100)"